Warm up cold winter days with good cheer! 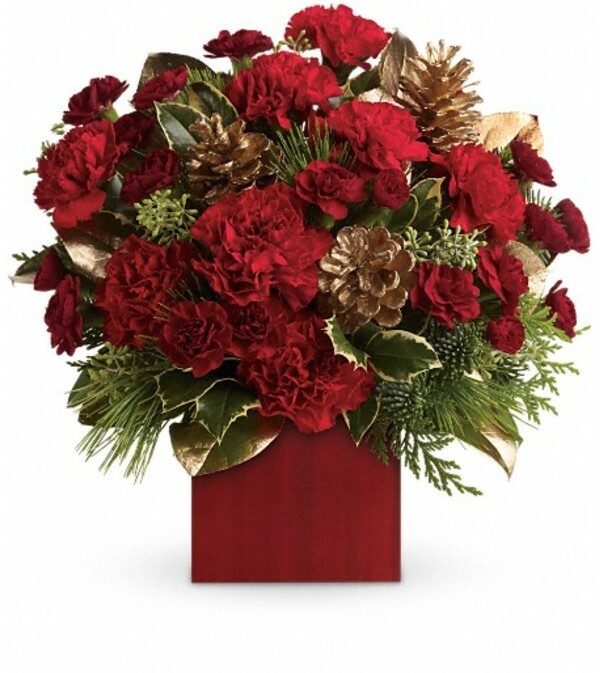 Red carnations and gold pinecones are delightfully arranged with winter greens in a rich red bamboo cube. 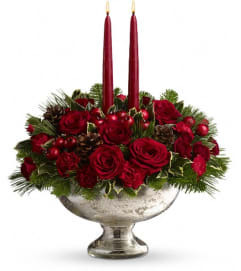 Red carnations and maroon miniature carnations are accented with tips of noble fir, flat cedar, holly, white pine and assorted greens. 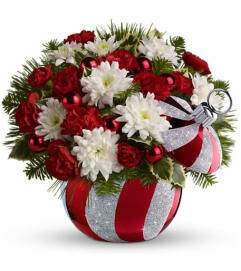 Delivered in Teleflora's red bamboo cube.